Two-thirds of people who file for bankruptcy cite medical issues as a key contributor to their financial downfall. While the high cost of health care has historically been a trigger for bankruptcy filings, the research shows that the implementation of the Affordable Care Act has not improved things. What most people do not realize, according to one researcher, is that their health insurance may not be enough to protect them. The number of debtors who cited medical issues as a contributing reason for their bankruptcy actually increased slightly after the law’s implementation — 67.5 percent in the three years following the law’s adoption versus 65.5 percent prior. The culprit for the lack of improvement was inadequate health-care insurance, according to a co-author of the research, Dr. David U. Himmelstein, a distinguished professor at Hunter College and founder of advocacy group Physicians for a National Health Program. To help combat this problem, Physicians for a National Health Program is advocating for a national Medicare for All program that would broaden insurance coverage for Americans. Whats the income limit for Chapter 7? In order to file a Chapter 7 bankruptcy, you must pass a means test which compares your disposable income to the average median income for a family of the same size in your state. Because median incomes vary by state and household size, the income limit for filing a Chapter 7 varies as well. Why Take a Means Test? A Chapter 7 bankruptcy is a short process, typically lasting only three to six months. During this time, a trustee helps you to liquidate (sell) your non-exempt property to pay off part of your debt. The Chapter 7 means test is a method of qualification designed to reserve Chapter 7 bankruptcies only for those who truly can’t afford to repay their debts in full. To begin a means test, compare your current pre-tax annual income to the median income for the same size household in your state. If you make less than your state’s median income, you qualify and are free to file a Chapter 7 bankruptcy. If you make the same, or more than, the median income for your state, then you must continue on with the test. For second part of the means test, you use your average monthly income for the six months before you plan on filing bankruptcy. By deducting your monthly expenses from your current average monthly income, calculate your disposable income. The lower your disposable income each month, the more likely you may qualify for Chapter 7. When calculating your disposable income, you subtract your allowed monthly expenses like food, clothing, and living expenses. These can include your utility bills, as well as credit card, mortgage, and car loan payments. Calculate your family’s average gross annual income – To find your gross annual income, multiply your pre-tax monthly income by 12. For example: if your gross monthly income is $2,500, your annual gross income would be $30,000 (2,500 multiplied by 12 equals 30,000). Compare your annual gross income to your state family median income – Make sure to compare your income to the median income for a family of the same size in your state. You can find the current family median incomes on the US Trustee website at www.justice.gov/ust (go to the means testing information section). Continue to part two of the means test – If your income is at or above that of a same sized household in your state, you need to continue on to the second part of the means test. If it falls below the median income, you can proceed with filing your Chapter 7 bankruptcy. When you take the means test and continue on to the second part, but it shows that you have a large amount of disposable income, you don’t qualify to file Chapter 7. In this case, you should be able to use this disposable income to repay debts. If you’re a high-income earner that doesn’t qualify for a Chapter 7, you can file a Chapter 13 bankruptcy, instead. A Chapter 13 is known as a repayment bankruptcy and can help you repay your debts over either a three- or five-year period. If you’re thinking about filing bankruptcy, but aren’t sure if you should move forward, make sure you consider all the possible outcomes. For instance, in some cases, you’re required to give up some of your property in order to pay back your creditor’s during a Chapter 7. 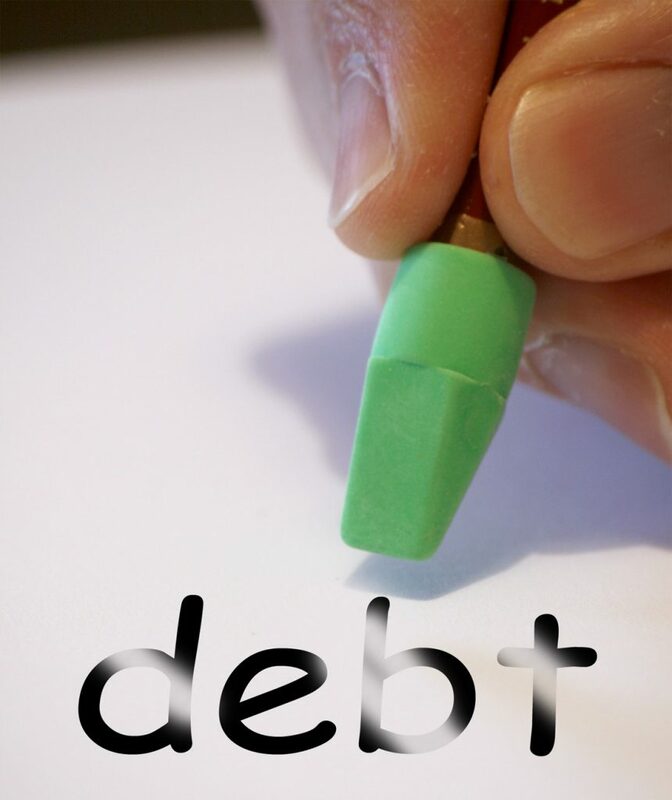 Consider your options carefully – bankruptcy isn’t to be entered into lightly. New bankruptcy filings are at their lowest point since 2007, according to new court data. Bankruptcy courts are quiet places these days, at least compared to previous years. Corporate and consumer bankruptcy filing rates are at their lowest point in about a decade, according to a new report from Supreme Court Chief Justice John Roberts. September 2010 court statistics show that during the depths of the Great Recession, almost 1.6 million bankruptcy petitions were filed, with 1.53 million consumer cases making up the vast majority of the case load. Eight years later, the amount of new cases has been cut by more than half. In September 2018, there were more than 770,000 cases filed from broke businesses and individuals looking to get their finances together through court-ordered debt-forgiveness and repayment plans. Consumers accounted for 97% of the cases. People may not be filing for bankruptcy because it’s too expensive to do so, and they might have too few assets to protect. In fact, bankruptcy petitions haven’t been so low since 2007, Roberts said Monday in his annual summary of the federal courts. Yet the relative silence in bankruptcy court halls, at least when it comes to consumer cases, might not be entirely golden. People may not be filing for bankruptcy because it’s too expensive to do so, and they might have too few assets to protect, bankruptcy experts told MarketWatch. Besides, some added, more cases might be around the corner. “People can’t afford paying lawyers to file for bankruptcy,” Chicago attorney Lorraine Greenberg said. She cited a 2005 legislative overhaul. The Bankruptcy Abuse Prevention and Consumer Protection Act generated more work for lawyers, who were forced to raise their own rates for clients, she said. Greenberg said she charges $1,500 up front to file a Chapter 7 case, where debtors sell off their assets and can have certain debts forgiven. That price doesn’t include the court costs and fees debtors also have to incur, she said. Those prices can hover around $350, she noted. She has about three feet of shelf space devoted to documents from people ready to file bankruptcy cases once they get the money to hire her. “I’m never going to see it. … They have no disposable income to pay their attorney,” she said. The flip side of the findings was the fact that older Americans are filing for bankruptcy at out-sized rates, grappling with too little income and health-care costs that are too expensive. But Ricardo Kilpatrick, a Michigan-based attorney representing creditors in consumer bankruptcy matters, said there were a number of reasons behind the drop-off in petitions, including attorney costs. “Bankruptcy trails recovery,” he said. When people have something they have to protect, they file for bankruptcy,” he said. Still, Kilpatrick, a past president with the American Bankruptcy Institute, said consumer filings could increase as more people return to the workforce and take on more credit. Bankruptcy petitions on the decline. A strong jobs report Friday said the American economy gained 312,000 new jobs in December. The unemployment rate edged up to 3.9% from the 49-year low of 3.7%. The slight rise could actually be a good thing, indicating that people think it’s easier to land a job. Kilpatrick recalled conversations last month with four separate lawyers for debtors. Three of the four told him it was the busiest December they’ve had in the last six years, Kilpatrick said. Chicago attorney Lorraine Greenberg said the Affordable Care Act could help people avoid bankruptcy due to unpaid medical bills. Reasons for the drop-off might not all be gloomy. Greenberg said there could be a link with increased health care coverage under the Affordable Care Act. “Less people need bankruptcy to wipe out medical bills,” she said. Another explanation: Recession-era federal mortgage programs that enabled distressed homeowners to work out deals with lenders also helped people avoid filing for bankruptcy, lawyers told MarketWatch. Creditors “became much more accommodating on doing out-of-court work-outs,” Kilpatrick said. That slide in bankruptcy petitions largely coincides with a historic nine-year bull run on Wall Street — a streak that could be close to an end amid worries about an economic slowdown. The slide in bankruptcy petitions largely coincides with a historic nine-year bull run on Wall Street, a streak that could soon come to an end. But bankruptcy rates don’t necessarily mirror the country’s overall economic health. “It really has not tracked the economy exactly,” said Henry Sommer, a past president of the National Association of Consumer Bankruptcy Attorneys. Filings were high in the late 1990s when the economy was humming along and consumer credit was easy, he said. Bankruptcies seem to more closely follow Americans’ debt-to-income ratio, according to Sommer. The figure shows how leveraged a household is, dividing its monthly debt payments by its income. Aggregate household debt to income ratios ramped up in the early 2000s and then started falling in 2008, Federal Reserve data showed. Despite record levels of credit-card debt, households are still in a better position to pay off their debts than they were during the recession. Another possible factor in the decline of bankruptcies: America’s student-loan crisis. Americans now owe $1.5 trillion in student debt, and the repayments efforts can be soul-crushing for some. But borrowers have a difficult time legally proving the repayments are an “undue hardship,” which means filing for bankruptcy wouldn’t help them much. “As a practical matter, it’s virtually non-dischargeable in all cases,” Sommer said of student debt. Courts won’t wipe out “non-dischargeable” debts. And cash-strapped student-loan borrowers may not be driven to bankruptcy simply because they do not have enough money to rack up other forms of debt, like debt from credit cards, Sommer said. In fact, consumers between the ages of 18 and 34 had fewer bankruptcies over the last decade per every 1,000 people, compared to people age 65 and older, Foohey’s research has found. “These are people who are saddled with student loans,” she said, making it tough for them to build up other assets. A few years ago, Chris Saltzburg found himself at the intersection of an expensive divorce, the loss of his job and the rapidly declining health of his mother. The debts started piling up. American Express seized his bank account. After making a six-figure salary for most of his career as a model, Saltzburg was broke. More than 20 million Americans would benefit from declaring bankruptcy. But in 2017, fewer than 500,000 actually did, according to a data analysis by Upsolve, a nonprofit software platform that helps people file for Chapter 7. Saltzburg came across Upsolve while looking for bankruptcy resources, and the company guided him through his filing, free of charge. Rohan Pavuluri, the founder of Upsolve, was inspired to start the company two years ago after volunteering with Harvard Law School’s Access to Justice Lab, which focuses on finding legal solutions for people who can’t afford lawyers. While developing a method for assisting in bankruptcy filings, Pavuluri quickly realized that tech could be the solution. He joined forces with bankruptcy attorney Jonathan Petts, who helped optimize Upsolve’s toolkit and resources, while the rest of his team coded the platform. Today, users who sign into the app are prompted to upload pay stubs and tax forms, which are then autofilled into their Chapter 7 filing. Other information is autofilled in by a credit check. Pavuluri zeroed in on bankruptcy because he realized its potential was vastly underutilized, particularly for low-income Americans. Bankruptcy wipes their slate clean, improves their credit scores and can help them get a job. “It’s one of the most powerful poverty-fighting tools around, and we aim to make it accessible at scale,” Pavuluri says. Especially because the reasons people end up in debt resonate with most Americans. “The No. 1 reason [for filing bankruptcy] is medical debts,” he says. “Divorce and people who are victims of an abusive partner are also common.” By offering a free service, Pavuluri is helping people who may never have known that Chapter 7, a type of bankruptcy that liquidates a person’s existing assets to pay their debts, was an option. Currently, the organization is funded through philanthropy — the Chan Zuckerberg Initiative is one of its donors — as well as through the government. It also asks Upsolve clients who’ve had successful outcomes to donate a small amount if they can. Bankruptcy filings go up when people get their tax refunds. In 2005, Congress made changes to the U.S. Bankruptcy Code in an attempt to make it more difficult for some consumers to file for Chapter 7. The Bankruptcy Abuse Prevention and Consumer Protection Act (BAPCPA) now requires anyone filing to meet certain criteria: Your income must fall below the median income for your state, and you must also pass a “means” test that calculates your debt to determine if you qualify. Before BAPCPA, anyone could file for bankruptcy, regardless of their income. “You could be wealthy and still file for bankruptcy — there was no income cap at all,” says Michelle White, professor of economics at the University of California, San Diego, who has studied bankruptcy since the 1990s. Some celebrities even filed for Chapter 7 before the code change went into effect. R&B singer Toni Braxton filed for Chapter 7 bankruptcy in 1998, alleging she was broke after being insufficiently paid by her recording label at the time, LaFace Records. When White first began studying bankruptcy, she too was surprised at the number of people who not only qualified but would benefit from filing. It’s understandable, though, White says, that so many people don’t file. “The deterrent is usually the cost [of legal fees],” she says. “Bankruptcy filings go up when people get their tax refunds.” Surprisingly, the number of Americans who could benefit from filing for Chapter 7 is slightly higher than it was prior to BAPCPA. As of May, consumer debt levels were predicted to reach an all-time high by the end of 2018, according to consumer lending company, LendingTree. “Now, more than ever, people need the lifeline of bankruptcy to get back on their feet,” Pavuluri says. Still, there are some financial situations that can’t be helped simply by filing for bankruptcy. Sometimes Pavuluri has to turn away people who don’t qualify for Chapter 7, usually because they’re homeowners or they earn above the median income, and direct them to a local attorney. But the people who do file aren’t the only ones who could benefit. A crop of Americans with improved credit scores and the chance to increase their incomes could drive further economic growth. If Upsolve and other bankruptcy advocates can move the needle on the number of Americans who file for Chapter 7, the whole country would likely reap the benefits. Get your finances back on track with these simple tips. Bankruptcy is the worst black mark you can have on your credit report. It can make it impossible to get new loans or lines of credit for several years, and it may even affect your chances of landing a new job. Recovering from bankruptcy isn’t easy, but if you’re determined to turn over a new leaf, there are things you can do to rebuild your credit more quickly. Here are a few tips to get you started down the right path. The most important thing you can do is make sure that you don’t end up back in debt again. Create a monthly budget that covers your living expenses and leaves you a little extra for saving and fun activities, like going out to eat. Track your spending each month and make sure you follow the budget that you set out. It’s also a good idea to have an emergency fund. This should be enough to cover three to six months’ worth of living expenses. If you have an unexpected hospital visit, insurance claim, or other expense, you will be able to draw on this fund, rather than taking out loans or putting the bills on a credit card. Your payment history makes up 35% of your FICO score, which is the credit scoring model most lenders use. Paying on time every month can go a long way toward raising your credit score, while even a single late payment can drop an “excellent” credit score (around 750 points or higher, generally speaking) by over 100 points. Of course, if you’ve recently gone through a bankruptcy, then your credit score will be far from excellent, and thus the impact of a late payment won’t be quite this severe. However, it can still drop your score by as much as 45 points. Secured credit cards are designed to help individuals with poor credit establish a better payment history. You can usually get one of these cards even if your credit score is under 600, although you have to be able to front the money for the security deposit. This deposit — usually at least $200 — is equal to your credit limit. If you fail to pay back what you owe, the company will keep your deposit so it won’t be out any money. But as long as you stay current on your payments, your security deposit will be refunded to you should you ever close the account. The card issuer will report your monthly payments to the credit bureaus, and this will help to bring up your credit score more quickly. Ideally, you shouldn’t spend more than 30% of your allotted credit per month. The amount of available credit that you’re using also has a significant impact on your credit score, and using more than 30% of your credit is an indication that you may be living beyond your means. Every time you apply for a new loan or line of credit, the lender will do a hard inquiry on your credit report. Your score will drop by a couple of points, but this usually isn’t an issue unless you apply for credit frequently. Over time, all those hard inquiries add up and paint a picture of someone who needs more credit because they can’t afford to pay for their lifestyle on their existing income. If you plan to apply for several credit cards or shop around for a new loan, it’s best to complete all of the applications as close together as possible. Credit scoring models are designed to consider all hard inquiries that take place within a 30- to 45-day period as a single inquiry. This is meant to accommodate the sort of shopping around that any responsible person might do when looking for a new credit card. The above steps will help you begin to demonstrate a more responsible attitude toward money, but ultimately, your greatest ally is time. The older the bankruptcy is, the less effect it will have on your credit score. After 10 years, it finally drops off entirely. It is possible to bounce back from bankruptcy, but it may require some patience and some lifestyle changes on your part. But if you start with the steps listed above, you should notice some improvement in your score within a couple of months.